Learning a language is as crucially dependent on factors within learners as it is upon those without. People do not learn a language which is not available to them either in visual, auditory or some other forms. What do learners learn, how they learn, what the role of social factors in their learning is and what is the role of individual factors in the learning; all these are very interesting questions in the field of second language acquisition. Language learning or acquisition both are synonymous words in recent years. But second language acquisition is a different process from the first language learning, because human beings are genetically prepared for having the full fledged idea of their first language which is innate by nature, but un-consciously second language is acquired by them depending upon their various socio-cultural learning situations, which is according to Vygotsky taking place through dialogue, with classroom discourse, reflecting the history, cultural values and social practices of children’s schools and communities. .
We understand it very well that language is a systematic way of combining smaller units for the purpose of communication, which undoubtedly reflects both the inner and outer world of the individual itself. Language is actually reflects and creates our perception of the world, and who makes decisions about what is appropriate use, are the major concerns of language. For example, we combine the sounds of our language (phonemes) to form words (lexical items) according to the ‘rules’ of the language we speak. Those lexical items must be combined to make grammatical structures, again according to the syntactic ‘rules’ of our language. Language is thus essentially a rule-governed system of this kind, which according to Vygotsky played an important role in the cognitive development. We usually assume that we use language to say that what we mean. However, the processes by which we create meaning are actually very complicated indeed and so we need to first understand ‘the model of meaning’. The model is a way of thinking that will help us get started on an idea but which may soon prove to be too simple to be really accurate, at which point we will have make it more complicated. This model is explaining meaning is to assume that every group of sounds or letters which make up a word has a one-to-one relationship with a meaning and for every meaning we can think of corresponding group of sounds (a spoken word) and letters (a written word). For example, traffic lights are understood with some symbolic meanings, such as the meaning of red light is for ‘stop’ and green for ‘going’. Thus Ferdinand de Saussure a Swiss linguist also argued that language is the arrangement of ‘signs’. For him language is an individual activity, and also claimed that speech was totally individual and dependent on the ‘will of speakers’ and each member of speech community have identical forms of speech. But the question arises that when language is the necessary element for communication and communication in other hand is a social activity then why not language is also social rather than individual. Actually the balance of our knowledge of linguistic items and their meanings always goes in the favour of social, but since we learn our language by listening to others, although each individual’s language is unique because of our different individual experiences. Language both reflects and affects our perception of the world. Language can be used to create and reinforce certain value systems, focusing on the role of discourse in shaping the beliefs which affects peoples’ behavior, motivation, desires and fears then why not it is a social activity which is culturally constructed through mediation of artifacts. Thus, Vygotsky’s socio-cultural theory has extended far reaching influence on modern educational psychology and pedagogy for language classrooms. This paper makes attempts to elucidate socio-cultural theory’s constructs, its influence on second language acquisition and also explains that how the reading ability and vocabulary of second language learners improves due to it. 1. To understand whether the socio-cultural approach is really working in SLA. 2. To find out whether socio-cultural approach enhances vocabulary of L2 learners. 3. To find out whether socio-cultural approach enhances writing ability of L2 learners. 1. Socio-linguistic settings: - it refers to the role of second language in society whether it is spoken by majority or minority of population or the distinction whether the second language is acquired in natural or school settings. 2. Specific-social factor: - these are the variations that affect second language learners because of class, age, gender and ethnicity. Like the social structure that affects the second language acquisition of learner we need to understand about how the inter-language developed within the mind of the child, by comparing different languages acquired by the child and also by analyzing the errors of learner, because it also played important role in second language acquisition. There are three different processes that influence the creation of inter-language. 1. Language transfer: - second language learner used their mother tongue to create new language system, which is not recognized as a mistake, but as a process that all learners go through. 2. Overgeneralization: - Learners use rules from the second language in a way that native speakers would not do. For example, a learner may say “I goed home” or “I eated food”, over generalizing the English rule of adding -ed to create past tense verb forms. Before going to the explanations we need to understand the process of second language acquisition, that how it takes place and how the social context of an individual is become the important aspect in providing access to the process, because language is not simply a cognitive endeavor rather several socio-cultural aspects are playing necessary role in language learning. We must try to understand the thing from the contrasting experiences of Augustine (i.e. from the famous confessions of Augustine of Hippo (Aurelius Augustinus, 354-430 CE) in acquiring first language Latin versus second language Greek. He highlighted the different socio-environmental factors in which he learned Latin versus Greek. He attributed his successful acquisition of Latin at home to the context of “jesting and pleased laughter of elders” in which he strove to “utter his own feelings compared to the school environment of “threats and punishments” where he failed to learn Greek. Thus, a related but different approach is taken in the socio-cultural theory has a fundamentally different set of assumptions to approaches to second language acquisition based on socio-cultural approach and computational model. The ‘Computational model’ is actually a model which has three steps; in first stage- learner retain some features of language input in short term memory, insecond stage- learner convert some of the intake of secondary language knowledge, which is stored in long term memory, and in third stage- learner use this second language knowledge to produce spoken output. For behaviorists, no learning occurs if there is no observable change in behavior. They mainly choose to ignore inaccessible mental processes and focus on observable behavior. During 1950s and 1960s, an alternative perspective ‘cognitivism’ appeared which originated from Chomsky’s famous proposition of a— Language Acquisition Devices (LAD), in which he presented the nativist view to language learning. The cognitivists proposed that human beings are born with a genetic capability that predisposes them to the systematic perception of language around them, resulting in the construction of an internalized system of language. Though the dominant perspective in second language acquisition research is a cognitive one, from the early days of discipline, researchers have also acknowledged that social aspect plays an important role, because the sociolinguistic research views the social context in which language is learned as essential for a proper understanding of the acquisition process rather than assuming language as a purely psychological phenomenon. Lev Vygotsly (1962) saw language as both a cultural tool, which inducts children into the shared knowledge and understandings of their society, and also a psychological tool, which extends their learning and development. This socio-cultural theory has its origin from the works of Lev Vygotsky and later worked out by his followers James. P. Lantolf and Steve. L. Thoren. SLA researches using Vygotskian Socio-cultural theory first began to appear in mid 1980’s, but quickly gained momentum in mid 1990’s with the special issue of The Modern Language Journal (Lantolf, 1994), devoted to second language learning. Furthermore, the socio-cultural approach, which is closely affiliated with other social approaches, is a theory of mind and not of general social explanations of language acquisitions. Socio-cultural approach actually does not seek to explain that how learners acquire the cultural values of second language but rather how knowledge of an L2 is internalized through experiences of a socio-cultural nature. Socio-cultural theory focuses on children’s cognitive development and especially emphasizes the integration of social, cultural and biological elements and believes that socio-cultural circumstances play central role in human’s cognitive development. Such process of development of higher mental functioning is the one by which people internalize or regulate what they learn from social activities through the mediation of symbolic tools (i.e. languages) and by going through the zone of proximal development and during this period language develops from social speech to private speech and finally changes to inner speech or verbal thought, which is actually a process of internalization done by the second language learner. Therefore the central constructs of the socio-cultural theory are mediation, regulation, internalization, the zone of proximal development and verbal thought. Let’s start with an example so that we understand it properly. What we will do before taking the food? We will do prayer first and then take food, which is a culturally accepted meaning, we learned from our parents. But how it acts like this? It is actually a meaning carried by some symbolic tools or language in the form of inner speech, which directs us because it is internalized by us. 1. Other mediation- it refers to the mediation between the more capable peer to the less capable one. 2. Self-mediation- it refers to the private speech (self talk) and gestures. Private speech is observed as the speech spoken to oneself for communication, self-guidance and self-regulation of behavior that means it met the cognitive function first, and then practice function and then internalization function. Gestures are also regarded as a form of private speech where oral private speech is used in face to face conversation and also in telephone conversation. 3. Mediation of cultural artifacts- in second language acquisition the learners can apply the aspects of socio-cultural environment and first language to acquire second language. The process through which cultural artifacts, taken to the psychological function is known as internalization. This process along with mediation is one of the core concepts of socio-cultural theory. Vygotsky established internalization in his general law of genetic development where every psychological function is taking place twice; first in between the people in inter-psychological level and second within the individual i.e. in intra-psychological level. Actually it is a negotiated process that recognizes the relationship between the individual with his/her social environment and generally carries it into future performance. Imitation is the most important aspect of internalization while doing second language acquisition. But it is not the imitation process immediately occurring after a given pattern appears in learner’s linguistic environment, rather imitation can occur with a delay, where children are permitted to analyze language “off-line” and it is considered as continuum between imitation and spontaneous language production, because differed imitation serving as “essential building blocks for spontaneous speech. Imitation of language and behavior is frequently carried out when the children are alone with their private speech. It is an intra-personal conversation inward directed organized into a culturally mediated mind. It seems to contact and interact with other. It includes three level processes which continue from the low level external or social speech development to the highest level of inner speech or verbal thought. 1. First level- it is the elementary level of language function and mental function which comes from phylogeny development and neural system of human being. 2. Second stage- here speech and thought combined in such a way that speech is mediated by thought and thought also mediated by speech. 3. Third stage- here both the thought and speech are combined together and develop into a higher kind of mental function, known as verbal thought. The combination is completed by taking participation in social communication and social activity. ZPD is the area where one can perform from his/er own and one can perform with other assistance. ZPD is the region between what an individual’s actual developmental level as determined by “independent problem solving” by the higher level of potential development through problem solving under adult guidance or in collaboration with capable peers. Second language skill building has been also considered to be linguistic or meta-linguistic act under ZPD, because bilingualism is the ultimate result of second language learning who have some meta-linguistic/ reflective or extra-linguistic abilities such as the ability of doing translation, code-switching and code-mixing what monolingual would not have. A basic understanding and ability to produce and recall forms is indeed for the language to be manipulable in the learner’s speech and verbal thought, which form the basic tools of oral and mental manipulation and rehearsal including meta-linguistic skills. Swain and Lapkin (1998) investigated the interaction of French immersion middle-schoolers in this regard. Their detailed analysis of two middle schoolers working on a jigsaw speaking and writing task allows insight in how learners assist each other which helps them in forming meaning connections in both French and their first language English. Thus, this type of study provides examples of linguistic and meta-linguistic skill-building in ZPD where students talk about their language they are producing, question their language us or correct themselves or other by their own. Today’s ZPD is understood both as an assessment and as a developmentally significant activity related to the forming of mind. The social character of cognition developed via the ZPD, is retained through adulthood in the development of help seeking and help incorporating process that include a variety of media (books, electronic resources and social media) in addition to face to face interaction. Vygotsky developed the ZPD as an assessment tool, not as a metaphor to guide our understanding of collaboration in human development. In terms of collaboration, Chaiklin (2003) is sightfully noted that the effectiveness of collaboration was accepted by Vygotsky, that it is a “well known fact that with collaboration, direction or some kind of helps the child is always able to do more and solve more difficult task than he can independently.” (Vygotsky 1978) Scaffolding is also an essential part of ZPD, it is the support as termed (Bruner 1990), where the teacher does not simply help learner but provides cues and prompts so that they can find answers for themselves and internalize so that they can do it independently in future. In its literal meaning; it is a temporary structure that is often put up in the process of constructing a building. In ZPD the knowledgeable participant is itself a source of scaffolding that a novice can participate in and extend current skills and knowledge to higher level of competence. It is proposed by Vygotsky and one of his students Leontev, deals with unified nature of human behavior, which is considered to be the result of integration of social and cultural mediations. According to Vygotsky the activity can be regarded as framework in which mind is observed and studied. Leontev also points out that activity includes three levels- activity, action, and operation along with other three components as motive, goal and condition. Activity supplies social environment with clear goals, motives displays the reasons why some thing has happened and action is the exact process to show how the activity is operated. The activity of second language acquisition proposed that the learning outcome is closely linked to the learner’s motives and that their motives are socially and historically constructed, because each learner have different ways of understanding and doing the things with different goals and motives. Vocabulary Acquisition : The capacity to acquire the ability to incorporate the pronunciation of new words depends upon the capacity to engage in speech repetition. It has been proposed that the elementary units of speech have been selected to enhance the ease with which sound and visual input can be mapped into motor vocalization. Studies showed that children with reduced abilities to repeat non-words (a marker of speech repetition abilities) show a slower rate of vocabulary expansion than children for whom this is easy and some studies also shows that L2 learners who has learned words through study rather than exposure, and can produce them, they faced problems in conversation and writing. Thus, it is only possible under the child’s ZPD through social interaction with other peers. Writing skills is the productive skill which comes after the receptive skills i.e. listing and reading and also after the receptive vocabulary which leads to a proper productive vocabulary in the form of writing. It is the understanding of cohesions between parts of a text through grammatical rules, recognizing vocabulary and deducing the meaning by recognizing the sentences to produce a well structure of language, which is possible through scaffolding in the form of peer collaboration. Studies of S. Baleghizadeh and A.T. MemarH. T. Memar (2008) states that high-structured scaffolding, low-structured scaffolding, and non-structured scaffolding helps in the writing ability of EFL learners. Lantolf, P. S. & Thorne, L.S. (2006).Socio- cultural theory and second language learning. According to this study developmental process takes place through participation in cultural, linguistic, and historically formed settings such as family life and peer group interaction. SCT is grounded in a perspective that does not separate the individual from the social and in fact argues that the individual emerges from social interaction and as such is always fundamentally a social being. This includes not only obvious social relationships but also the qualities that comprise higher order mental activity that is deeply rooted in semiotically mediated social interaction. In this regard Lantolf and Thorne has given certain observations which are very essential for understanding SCT; first is exposure to input is necessary, second, a good deal of SCT happens incidentally such as a specific sub goal that learners form in which the language itself becomes the intentional object of their attention in the service of a higher goal; third, Learner’s output (i.e.speech) often follows predictable paths with predictable stages in the acquisition of a given structure, and observation and there are limits on the effects of instruction on SLA; forth, Second language acquisition is variable in its outcome, observation and variable across linguistic subsystems; fifth, there are limits on the effect of learners first language upon second language and also limits on the effects of output (learner production)on language acquisition, because our first language is used not only for communicative interaction but also to regulate our cognitive processes, it stands to reason that learners must necessarily rely on this language in order to mediate their learning of the L2. 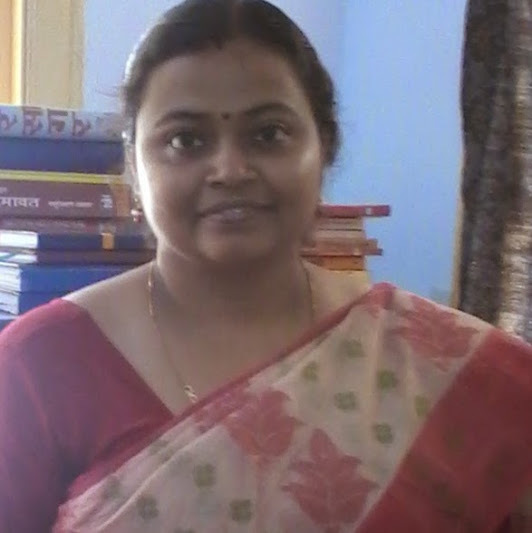 Let me start with the example of my M.ed dissertation, where I have done a comparative analysis of English linguistic knowledge between Monolingual and Bilingual students of Odisha. It was the nature of my research that I have to take the test of their vocabulary, grammar and reading skills in their second language i.e. English. During my work I have felt that they were unable to do the task unless they were allowed to talk and share among themselves, and undoubtedly this would help them in attending and solving almost all the questions of their test. Thus, I felt that how the socio-cultural factors or extra-linguistic factors of a learner are more important in his/er second language acquisition. The approaches like co-operative learning, collaborative learning and language play,etc are working in accordance with Vygotsky’s theory of social and cultural development which has several implications in language classrooms. Studies of James. p. Lantolf and Steve. L. Thoren (2006) states SCT argues that developmental processes take placethrough participation in cultural, linguistic, and historically formed settings such as family life and peer group and social interactions. According to Kinginger (2008) language learners are not independent language devices who learn individually but rather ‘unified’ self-interpreting cultural agents, whose creativity, intentions and identities are engaged in the activities they carry out. For example the teacher could make students in pairs or each group; students are meditational tools of each other. Thus, in an interactional classroom the co-operation between students and students and students and teacher and other mediated tools can promote an effective language learning environment. In a language classroom socio-cultural approach is also very helpful in enhancing the stock of vocabulary of second language learners, because vocabulary acquisition is the capacity to acquire the ability to incorporate the pronunciation of new words depending upon the capacity to engage in speech repetition, which is only possible under ZPD of the child. It is so because in first step the mediation is taken place between the more capable peer to the less capable and then self-mediation is taken place in the form of private speech and then the meanings are internalized in the form of second language. Somehow it also improves the writing ability of the children, who are in groups learn to find out their own errors and also learn to correct themselves by their own effort, because writing is productive skill and it also reflects the real understanding of second language learning by the learners when they produce it on paper. Vygotsky also regarded the development of pointing gesture or non-verbal signals as a microcosm of the child’s entire cultural development. The successive transformations of pointing gestures starts with inward journey and these changes objectively trace out the process of internalization. Thus, adults gestures in second language classroom, during social interactions with children are an essential part of the communication and thus of guidance that adults provide, and that the child’s gestures are a crucial source of feedback for the adults. The influence of socio-cultural theory in SLA research and language teaching is significant. It is true that language acquisition is a cognitive activity but socio-cultural environment of the child must play an important role in second language acquisition of the child. Some of the critiques of the socio-cultural theory have argued that Vygotsky has overemphasized the role on social interaction but ignore the importance of individual effort. There is no doubt that learners could achieve higher level by assistance from others, but what about the learner’s individual, he become lazy. But I think it is a wrong argument, because when a child is needed to engage in group activities with other peer members then how he or she becomes lazy? And when there is a question of individual participation in the activity and there is a dynamic assessment of their achievement after the activity then it is natural that the child is participating with his/er personal and distinct interests. So the individual self of each child is working with him/er. Lastly, an important thing which I want to point out in Vygotsky’s socio-cultural theory is that, he has given importance to the child’s ZPD and social-interaction in the classroom but not the other socio-linguistic factors such as class, caste, gender and social identity of the child which are the important cultural aspects played an important role in second language acquisition. Moreover, the collaborative scaffolding is the great approach for language pedagogical application in language classrooms which shows us a new direction towards SLA. In this paper a little attempt has been done to discuss the socio-cultural theory of Vygotsky, that how it affects the second language learning of L2 learners through mediation, regulation, internalization, ZPD, verbal thought and activity theory. This theory is somehow giving importance to both the socio-cultural and cognitive aspects of learner. It is also felt that such type of socio-cultural approach is necessary in removing all sorts of language learning anxieties and emotions of the learner with which he/she is coming to second language classroom having a rich culture of native language with them. Furthermore, socio-cultural theory believes that language can be acquired easily by allowing the students to socialize and interact either with other learners or with the speakers of the language they are learning. The interaction should also be within the context of the language being learned. Ideally, SCT suggests that the best way to acquire a language is to learn it from the place it is being used and to interact with native speakers. In the context of the classroom, SCT in second language acquisition can be practiced through social activities that simulate the cultural context of the language. Kozoulin, A. (1990). Vgotsky’s Psychology: A Biography of Ideas. Pp 151-158. Great Britain. Harvester Wheatsheaf. Kozoulin, A. (1989). Thought and Language. Pp 68-79. London, England. MIT Press. Lantolf, P. (2003). Interpersonal communication and Internalization in Second language Classroom. In Kozoulin, A., Gindis, B., Ageyev, S. V. & Miller, M. S. (Eds. )Vygotsky’s Educational Theory in Cultural Context. Pp 349-369. United Kingdom. Cambridge University Press. Wertsch, V. J. (1985). Vygotsky and the Social Foundation of Mind. Pp 223-224.London, England. Harvard University press. Moll, C. L. (1990). Vygotsky and Education: Instructura limplications and applications of sociohistorical psychology. Pp 225-233. United States of America. Cambridge University Press. Steiner, J.V., Panofsky, P.C. & Smith, W.L. (1994). Socio-cultural approaches tolanguage and literacy: An internationalist perspective. Pp 147-149. United States of America. Cambridge University Press. Herschensohn, J. &Scholten, Y.M. (2013). The Cambridge Handbook ofSecond Language Acquisition. Pp 9-26, 209-230, 627-647. United States of America. Cambridge University Press. Hudsion, A. R. (1996). Sociolinguistics. Pp 106-115. United States of America. Cambridge University Press. Baleghizadeh, S. Memar,T.A.&Memar, T. H. (2010).A socio-cultural approach on second language acquisition: The effect of high-structured scaffolding versus low-structured scaffolding on the writing ability of EFLlearners. Retrieved from www.nusu.sg/celc/research/books/relt/vol10/43to54-baleghizadeh.pdf. Lantolf, P. S. & Thorne, L.S. (2006).Socio- cultural theory and second language learning. Retrieved from http://pubs.sciepub.com/education/1/5/3/#.UezbENKmjXY.